He only stays this still if he's getting something. Yes, I bribe my dog with a treat for him to sit for pictures. It still only works a portion of the time. Theme card. I love anything Alice themed. 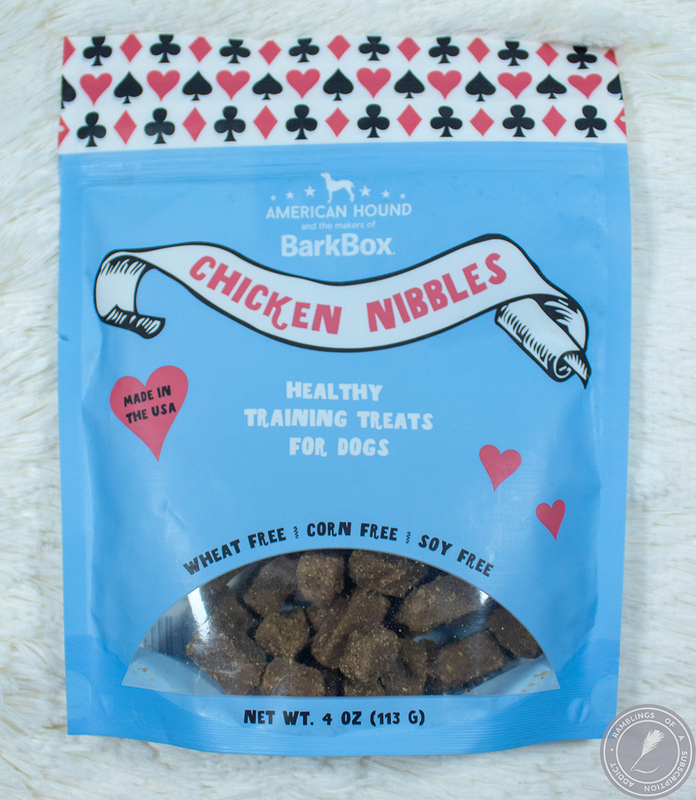 Chicken Nibbles ($6.00) - These are supposed to be training treats but really, Trumpet just wants to eat them. They're small and chewy, just like he likes, and they don't smell bad so no worries on my part! 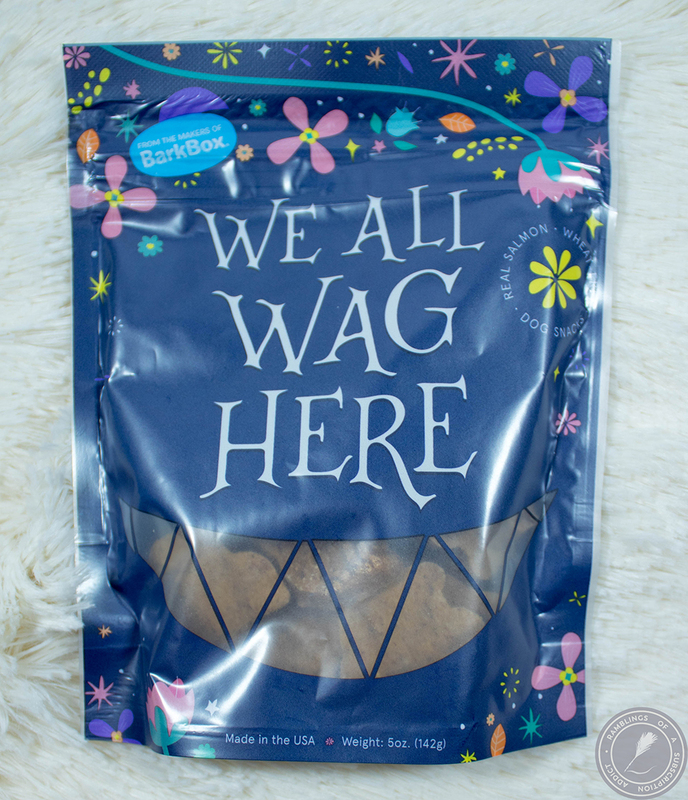 We All Wag Here ($6.00) - Another chewy toy, but not as chewy and the Nibbles above, and bigger. 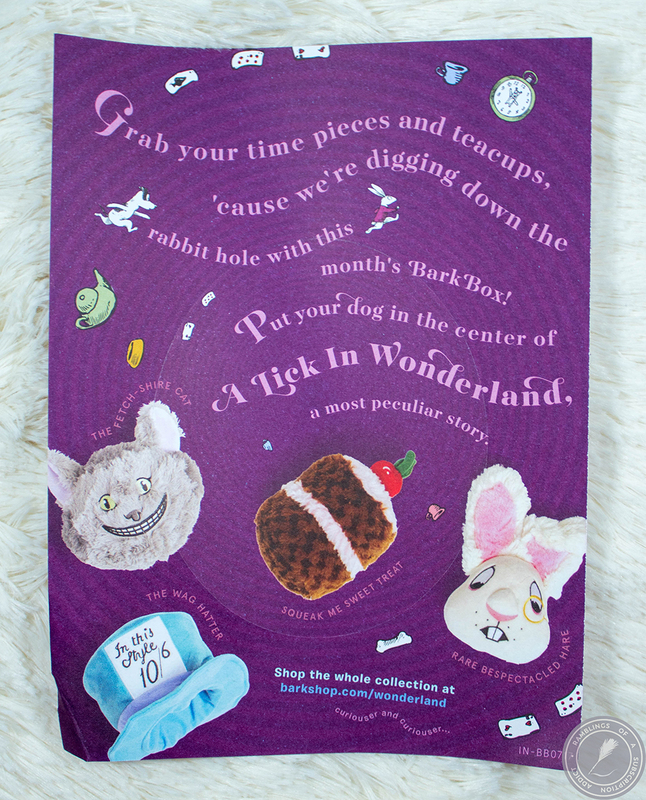 These are meant to be treats that take your pup more than a second to chew up. I wish that were true with Trumpet, but sometimes he bites down once and then swallows the treat. He likes, so that's enough for me. 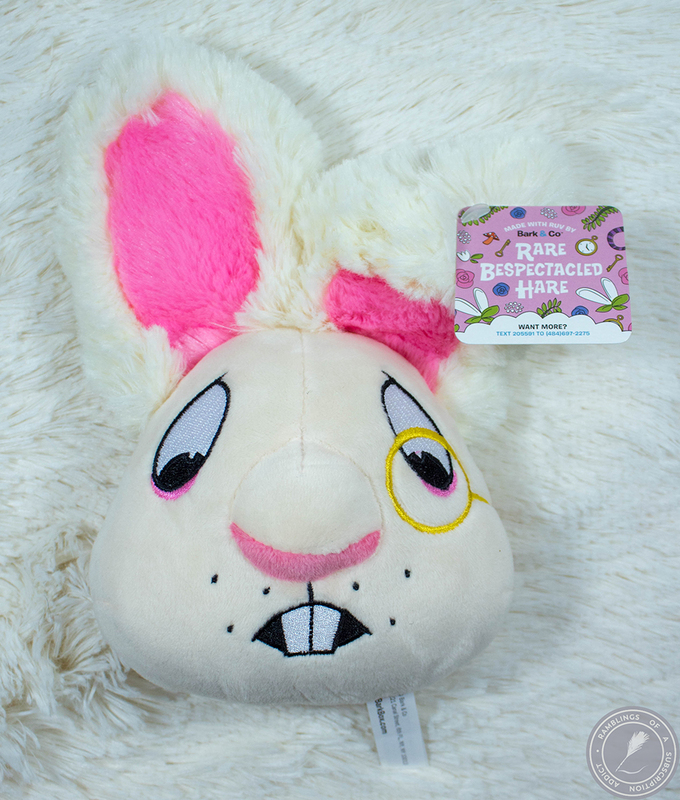 Rare Bespectacled Hare ($12.00) - Adorable? Check. Creepy? Also check. 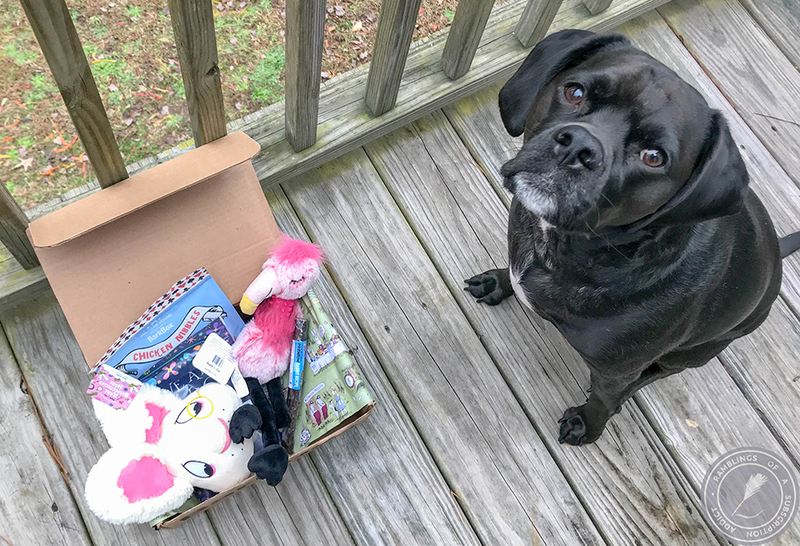 I actually just moved a piece of furniture back into our living room that holds Trumpet's things and it has glass doors...and now this toy is sitting in the front, staring. Hehe. 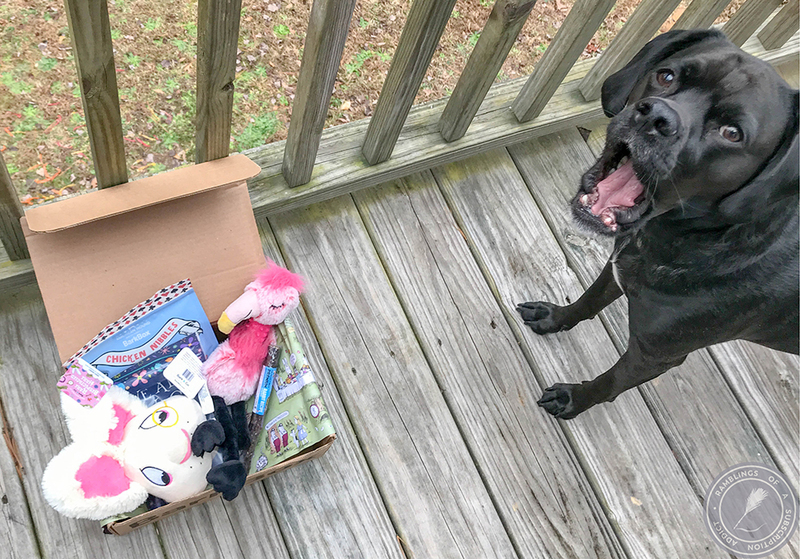 Trumpet hasn't been given this toy yet because he just has too many. 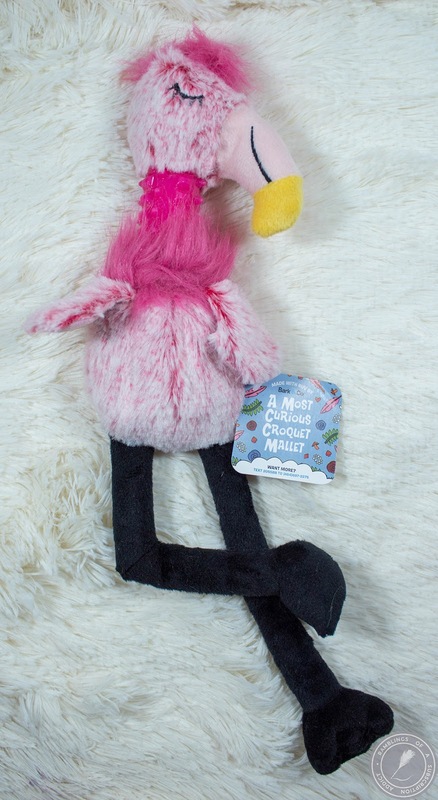 A Most Curious Croquet Mallet ($14.00) - This is both adorable and a little creepy, just like the other toy. Also, like the other toy I haven't given this toy to him to tear up. He did sniff it and definitely wanted to take it from me, but he knew better. 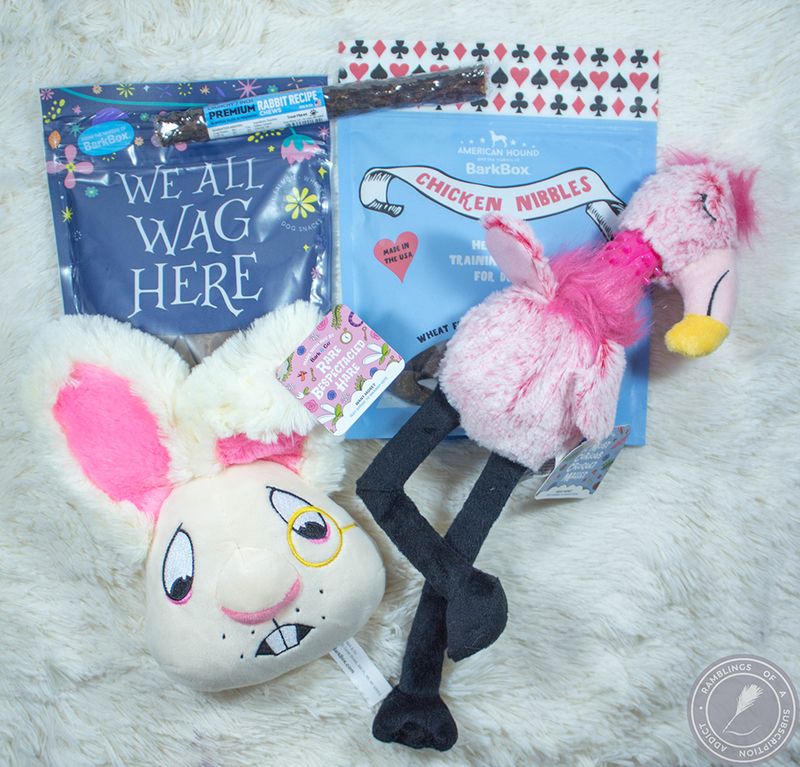 Crunchy 7 Inch Premium Rabbit Recipe Chews ($3.00) - Call me a bad pup-mom, but I didn't allow Trumpet to have this, not that he would have been at all interested. Sometimes you just know what your pup will like and he really doesn't do super crunchy things (besides lettuce and carrots) and this was SUPER hard. I passed this along to my mom because one of her friends rescues dogs and can always use pup things. This box was valued at $41, well over the cost of the box. I loved the theme and the products all fit perfectly, and isn't it just so freaking cute?